Para leer esta información en Español consulte la sección Spanish Telephone Equipment Battery Questions and Answers. Your Cox Voice service utilizes telephone equipment that is connected to your home’s power. During a power outage, you will not have access to phone service or e911 unless a battery is installed in each piece of telephone equipment at your home. Backup batteries can provide up to 24 hours of standby service or up to 12 hours of talk time using a corded telephone that does not require power and is directly connected to the telephone modem's jack. Cox recommends checking the battery status of your telephone equipment on a regular basis. Batteries can be ordered from Cox at any time. You have the option of installing the battery(ies) yourself or having a Cox technician perform installation of the battery(ies). Note: If you choose to have the battery(ies) installed by a Cox Technician after installation of your Cox Voice service, there is an additional charge associated with the installation. View the following frequently asked questions about the telephone modem battery. If you have additional questions, you can contact us. When did this policy start? Didn't you used to provide batteries? Customers no longer receive batteries with Cox Voice service. The option to purchase batteries for telephone equipment has been available to customers since November 1, 2013. How do I order a battery for my telephone modem? You have the option to order your battery service by contacting us at 855-324-7700. Will there be a charge for the battery for my telephone modem? There is a charge for the battery backup. Contact Cox at 855-324-7700 for current pricing. For qualifying Lifeline customers, your Telephone Modem battery will automatically be shipped to you at no cost or credited after Lifeline eligibility has been approved. Backup batteries for other Cox telephone equipment may require installation by a Cox technician at no additional charge. Note: Lifeline is a government program designed to make telephone service affordable for low-income families. How long will it take to receive the battery if ordered over the telephone? Once you have requested your battery, you can expect to receive your battery within two to three business days. Refer to Installing Telephone Modem Battery for installation instructions. You do have the option of having a Cox technician install the batteries during the initial installation of your new services. If you choose to have a technician install the batteries after the initial install, there is an additional charge associated with the installation. How will I know that my telephone modem battery is working once I have installed it and how will I tell when it needs to be replaced? Technicolor CGM4141 Solid blue The battery is charged and ready. Blinking green The battery is pairing. If Cox Voice services are provided by fiber to your home, you may also have Cox-installed telephone equipment in addition to a telephone modem, and will need to purchase batteries for both. If Cox Voice service is being professionally installed by a Cox Technician and a Telephone Modem battery has been purchased, the additional equipment battery will be installed. The Cox technician will ensure that the battery is functioning. Cox recommends checking the battery status of your telephone equipment on a regular basis. 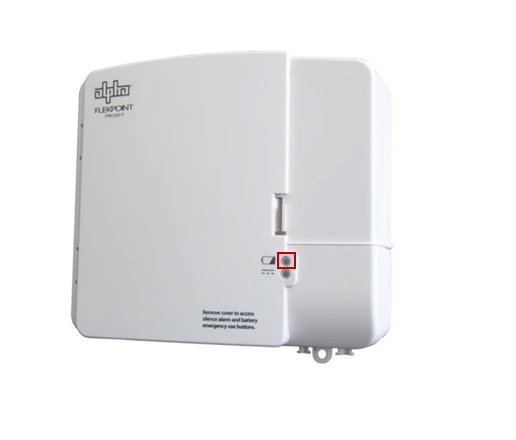 The Cox telephone equipment and backup battery unit are housed in a small utility cabinet on the outside of your home. After opening the utility cabinet, which may require a screwdriver, locate the backup battery unit as shown below. Lights on the front of the backup battery unit indicate telephone equipment powering status. If the red light is flashing, contact your Cox Customer Care representative to schedule a service appointment for battery replacement. What if I am not comfortable replacing my battery? You have the option of having a Cox technician install the battery. If you choose to have the battery installed by a Cox technician after installation of your Cox Voice service there will be an additional charge associated with the installation. How do I recycle the battery for my telephone? If you order over the telephone, you will receive a preprinted FedEx label included with your new battery to use when returning the old battery, if you have one. You can also recycle your old battery at any Cox Retail Store.